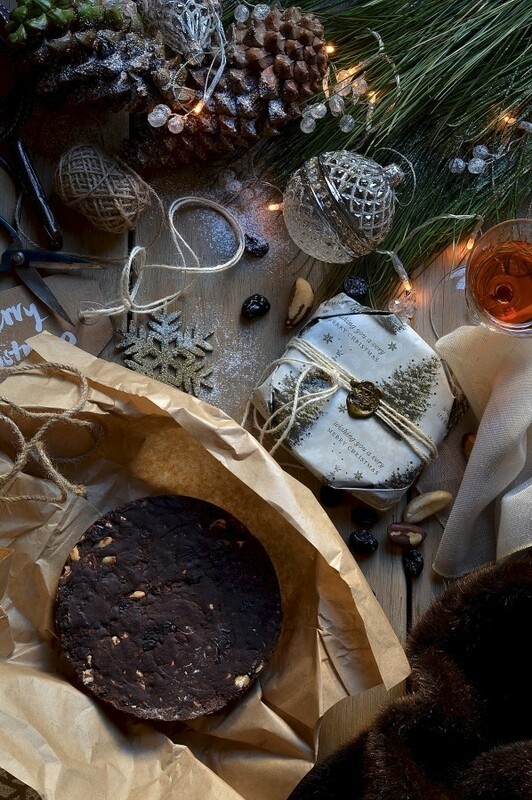 Panforte is synonymous with Christmas and although this Tuscan spiced fruitcake is sold throughout the year in Italy, I make it every Christmas, along with sticky cinnamon rolls and mince pies. This year however, I’m making Ottolenghi’s version from his new book, Sweet. Well sort of. I towed the line with the Anzac biscuits and the gingerbread tiles but unfortunately the panforte was tweaked. The recipe must be bullet proof ’cause even my deviation produced solid results. 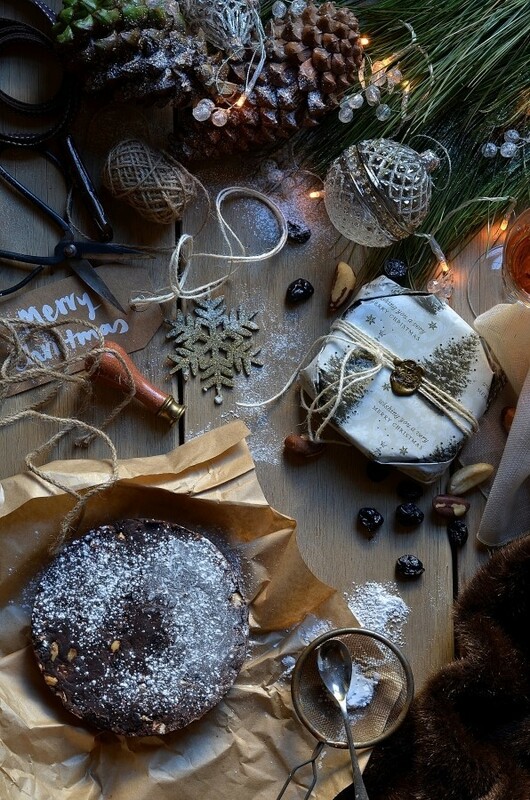 So here it is then, my very festive chocolate panforte with sour cherries and cranberries. I think Ottolenghi has a great sense of humour. How, you ask? Have you even met him? Sadly no, but there are clues throughout the book. Like this one. 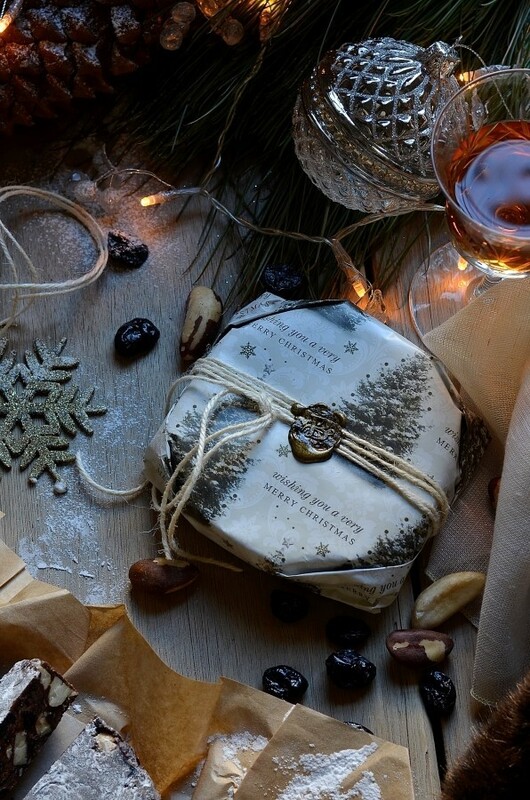 As a side note to the recipe (as with all the Sweet recipes – super helpful by the way), it reads: ‘This keeps very well – for at least 2 months – wrapped in parchment and cling film and stored in a cool dry place.’ Right! I can tell you this. It doesn’t keep very well, at least not in my house. I started eating it before it was racked or wrapped. 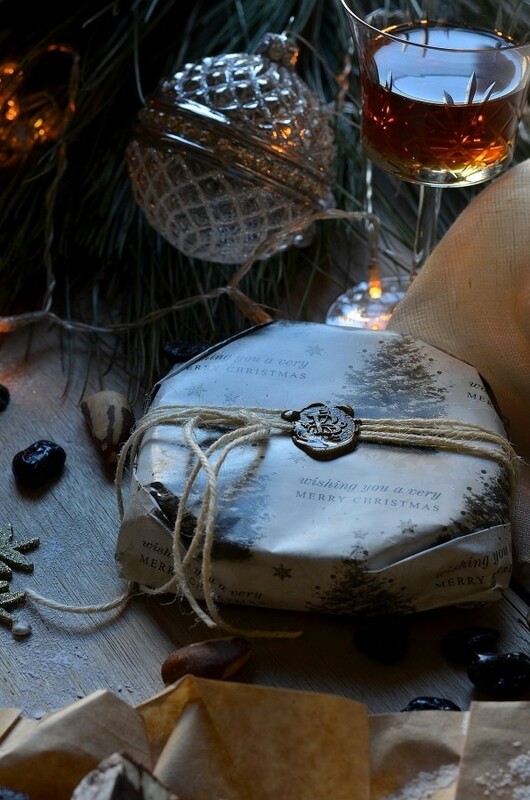 No amount of cling film, parchment, foil or otherwise, will deter a true ‘panforter’. He then proceeds to say, ‘You can eat it as soon as it’s set’, which tells me he’s succumbed to temptation and eaten it hot, like the rest of us are bound to do. On a whim, I decided on making the panforte late one evening. Not having all the ingredients, I thought some substitutions would be in order. Out went the almonds to be replaced with brazil nuts. The second swap was the figs. I love dried figs but because the rest of the household aren’t too keen on the tiny seeds, I used dried sour cherries and cranberries instead. I also increased the amount of dried fruit and lessened the 200g of candied orange. The sweet-tart flavour of the cherries counters the richness of the cocoa and pairs well with the warm earthy notes of all the other wintery spices. As with the gingerbread tiles, there’s cracked black pepper in the mix too. I didn’t use the full 100g cocoa which in hindsight I should’ve done. Although is seems like a lot, the panforte can easily support this amount of cocoa. 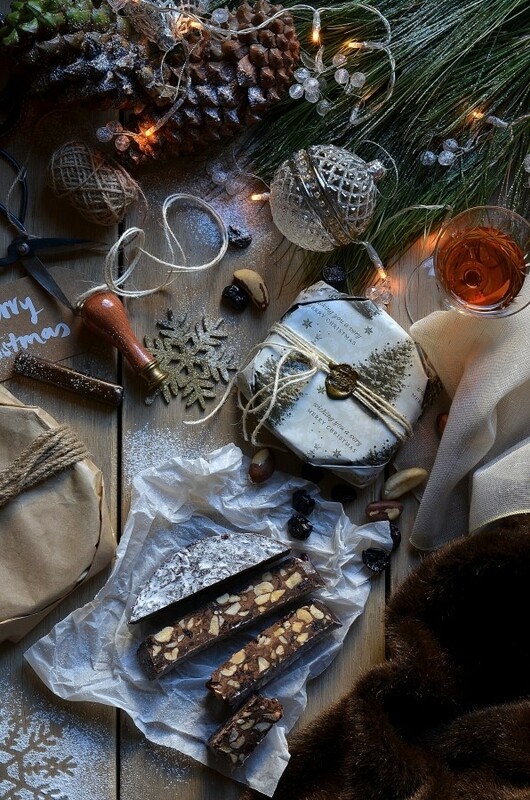 I made three smaller sized panforte as I wanted to gift them to some special friends. I used 2 x 15cm tins and 1 x 8cm tin and have adjusted the baking time accordingly. All in all, they turned our splendid. And I managed to restrain myself just long enough to photograph their cobbly-textured tops. This is my last in the series of My Week of Sweet. As soon as these panforte are out the house I’m throwing myself at the salad bar. No seriously. It’s going to be very green around here. 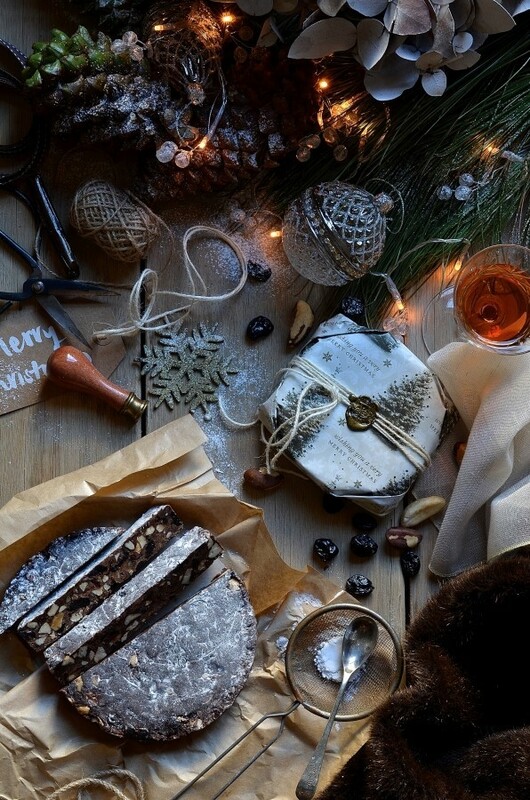 Side note: You’ll need a sugar thermometer to make the panforte. Preheat the oven to 180º C. Grease and line 1 x 23cm round cake tin or three smaller ones as specified above. Spread the nuts out onto a baking sheet and roast for about 10 minutes. Wrap in tinfoil to keep warm. Place the citrus peel, dried fruit and zest in a large mixing bowl. Combine the flour, cocoa, all the spices and salt in a bowl. Sift the dry ingredients directly over the fruit mixture and work through by hand. Place the castor sugar and honey in saucepan over a low heat and stir continuously until it starts to boil. Once the sugar has dissolved, stop stirring and simmer until the mixture reaches 114º C on a sugar thermometer. Pour the hot syrup over the fruit and flour, followed by the melted chocolate and the warm nuts. Mix together with a wooden spoon while still warm. It becomes more difficult as it cools. Divide the mixture between the tins and press down firmly. Bake at 180º C for approximately 15 minutes. Cool completely in the tins. Dust with icing sugar and wrap in cling film and then parchment paper. This is beautiful! I have been looking for a panforte recipe for ages. I love the fruity touch in this one! Thanks Angela. A panforte recipe is quite adaptable really. You can easily swap out the nuts and dried fruit elements. Unfortunately I gave these panforte away and now I’m sorry, which means another batch is on the way.